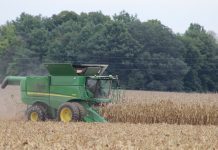 That’s according to Ohio Department of Agriculture Director Robert Boggs, who shared an overview of the past year in agriculture during a seminar at the Ohio Farm Bureau annual meeting earlier in December. 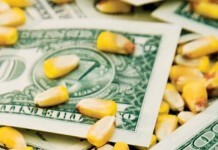 Finances are at the front of the mind in the state’s agriculture department, hit by at least $2 million in budget cuts since July 2007. There’s a $640 million deficit staring the state in the face, too, so things could get worse before they get better, Boggs said. Boggs mentioned to more than a hundred farmers and farm supporters in the seminar that the department of agriculture “has been slow to fill staff positions” since he took office early last year, in an effort to address budget shortfalls. The department also bought out 22 employees nearing retirement, which saved more than $1 million, Boggs said. The agency has also explored other methods of savings, including energy and custodial expense reductions. “We’re doing everything possible to reduce spending,” he said. 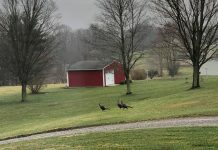 Boggs said budget shortfalls will not interfere with the reauthorization of the Clean Ohio Fund, approved by voters in November, or its bond funding that supports farmland preservation in the state. The state’s food safety and inspection service personnel have been busy, according to Boggs. Meat inspectors logged an average 208 inspections per day. Boggs said the department is especially proud that no E. coli or other outbreaks were traced back to state-inspected plants in the past year. Current regulations prevent products from state-only inspected plants to be sold across state lines, yet Boggs and others in the department are hopeful the new farm bill will allow interstate trade soon. The agriculture department has also noticed what Boggs called “a scarcity in processing facilities” and is looking at the possibility of a start-up mobile processing unit. That unit could travel the state and go to producers who need slaughter services. “There are still some [Environmental Protection Agency] concerns to work out,” Boggs said. 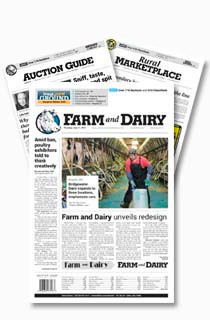 The director reflected on a very good year for the state’s dairy industry, which was projected to have logged 5 billion pounds of milk in the calendar year. 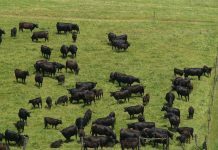 “This hasn’t been done since the 1960s, and we will do it this year with about half the number of cattle as then,” he said. “We’re still commodity deficient in the state, though, and that leaves a great opportunity for us to produce more,” he said. Boggs said this year’s rbST battle was sure to have cost tens of millions in losses in the U.S. bulk tank, but that it’s farmers’ turn to convince the general public to follow sound-science agriculture. “If we don’t take the time to talk, we will be on the losing end of battles sure to come,” he said. Americans and Ohioans, after all, want affordable food, he said. “I’ve never met a person who wants to pay more for their food, or to have to import food into Ohio,” he said. The state department of agriculture currently operates a consumer and analytical laboratory, animal disease and diagnostics lab, and animal toxicology lab. New for 2009 will be the startup of a plant pathology lab, Boggs reported. That lab will be especially important in the face of emerald ash borer infestations across the state and nation. The state’s facilities are commendable, too, with the animal disease lab being awarded a patent and license to produce a vaccine for the equine herpesvirus. In addition, lab director Beverly Byrum received one of the highest national honors for veterinary laboratories, the E. P. Pope Memorial Award. The award was presented in January by the American Association of Veterinary Laboratory Diagnosticians. The labs were also chosen to participate in a federal network to respond to emergencies, and is also one of few labs nationwide to be testing foods and materials for melamine contamination. Boggs also reported on eight concentrated animal feeding operations (CAFOs) licensed in the Buckeye State in 2007, bringing the total to more than 175 statewide. “Some we permitted in the last year haven’t built, though, due to the economy,” Boggs said. The department is also working with other state agencies to bring administration of the national pollutant discharge elimination system, or NPDES, into the agriculture department. Currently that regulation is handled by the Environmental Protection Agency. In addition, five of seven ethanol production plants are in operation in the state, letting Ohio boast nearly 390 million gallons of production. “We’re still working with Ohio State to make [production] more efficient, and to get DDGs into more livestock diets here,” Boggs said.